Toys are a great way to keep your pet rabbits active, exercised and happy, especially during the times when you aren't able to play with them. Take a look at these rabbit toys that are sure to entertain your bunny. Some even double as food, enrichment, and protection. Some rabbits may even try to climb on the grass hut. This is a great option to provide not only entertainment but enrichment. The hut also serves as an area for rabbits to hide to reduce their stress and, alternatively, as a means for them to keep their teeth short. You won't see anything like this maze haven for rabbits. If it were any bigger, rabbit owners themselves would likely play in it. It's a maze for your rabbit you can design, add stories to, and watch your rabbit play in day after day. You'll get as much fun from building it as your rabbit will from playing in it. Over half a foot in diameter, this ball is perfect for a multiple bunny household or perhaps for one very large rabbit. They can push it, chew it or just run around it. And you can watch them entertain themselves. You lift, bro? This wooden dumbbell is adorable. You'll love watching your rabbit while it's lifting, and the dumbbell doubles as a safe chew toy. This toy is for flinging and chewing, or perhaps tugging around on the carpet. Wooden hearts, all strung on a rope provide a fun shape for your bunny to play with. It's a simple toy but one that will enchant your rabbit. This is the play center for the bunny who has everything else. It is also great for degus and chinchillas. This is a raised wooden platform, large enough at 11 inches high to allow your pet to run under, go on top of or just play around in. Ropes and wooden blocks add the excitement to this activity zone. 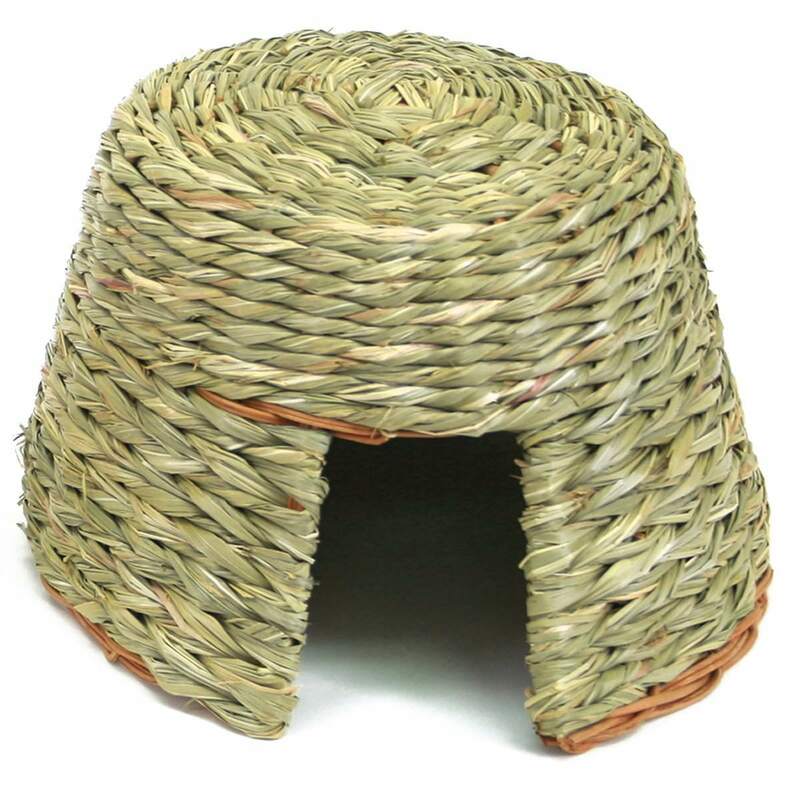 This toy can be twisted into a ramp, cave or seat for your rabbit to run into, on, or under. Your rabbit can chew on the sticks for hours of fun. While it's occupied, you can tend to your own affairs. Some toys are marketed for pet birds but make great options for pet rabbits, too! These twists can be carried around by your rabbit or chewed on for hours of delight. This gift is for multiple bunnies or one bunny who likes some space. This is three stories of strong cardboard made for bunny fun. You could also use this as inspiration to make your own bunny castle out of cardboard boxes. Rabbits can chew on this mat, flip it around, or just take a break from their cage floor and pop a squat.